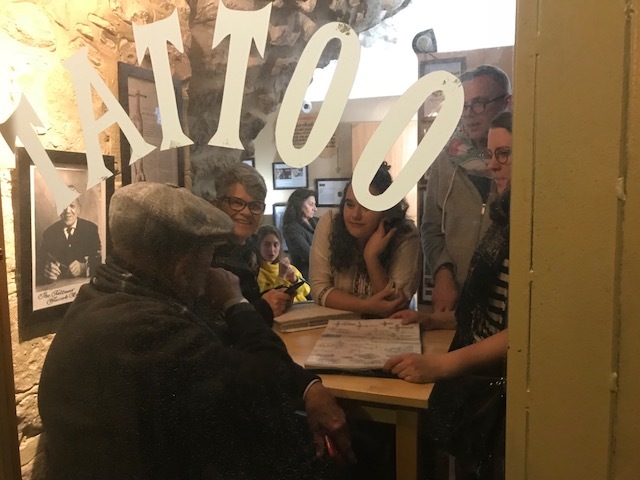 Several of our pilgrims came to the Holy Land already planning to get a tattoo as a lifelong souvenir, and several more decided to get one once they’d hung around Razzouk’s, a tiny cozy shop just a block away from the Gloria Hotel where we stay in the Old City. The shop has been in business since the 1300s. 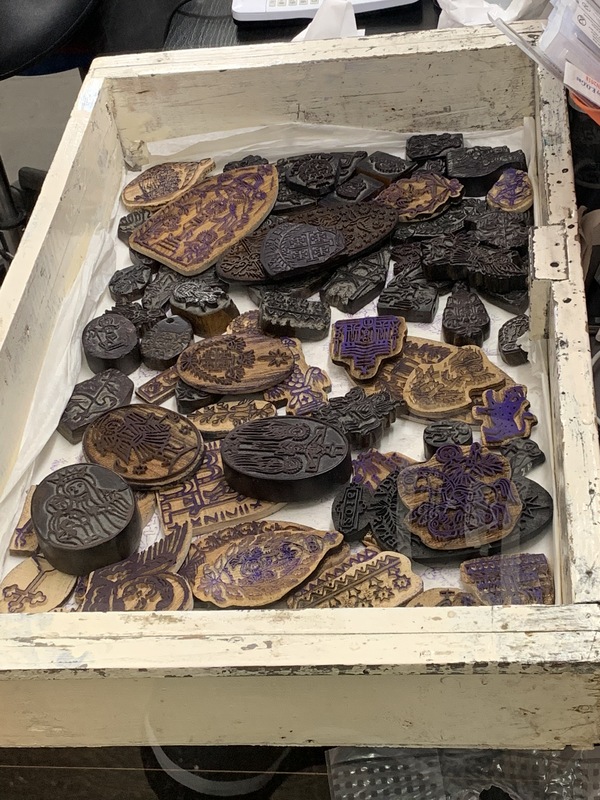 The Razzouk family are Coptic Christians, and many of the tattoo stamps used in place of a printed stencil are centuries old, inspired by traditional coptic images. 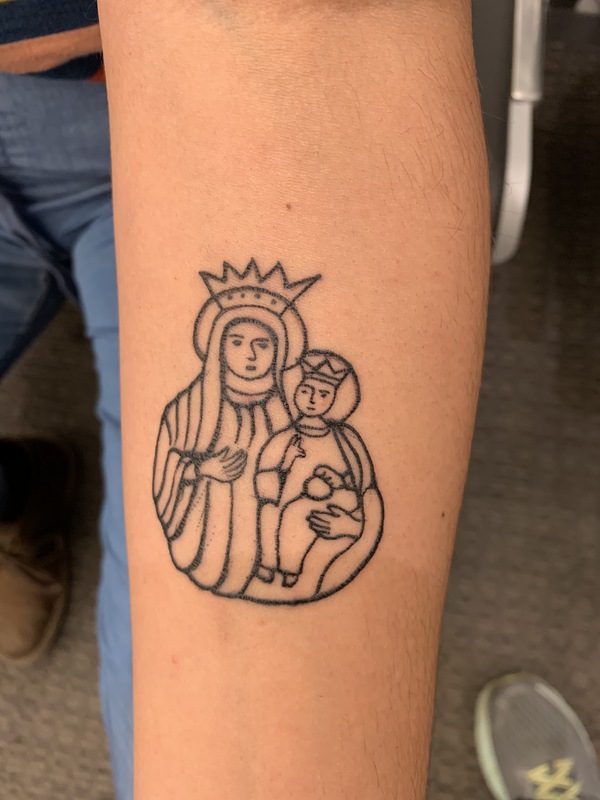 Kierstin Brown’s Madonna & Child is a good example. Long before the Crusades, the Copts claimed to be the “the original pilgrims” to the Holy Land, and etched a tiny cross on their inner wrist to indicate their identity as faithful Christians during a time of strife and mistrust. 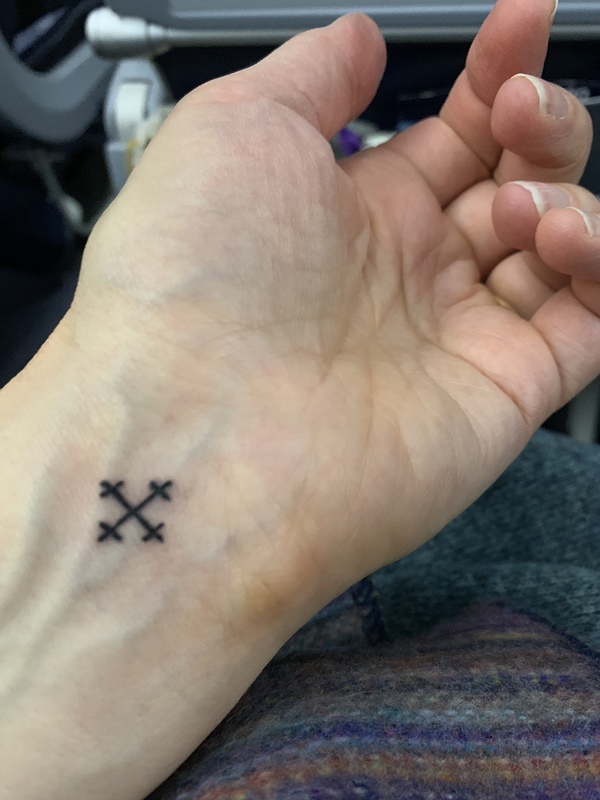 Several of us got these tiny wrist crosses (which Wassim Razzouk took less than two minutes to create—how painful can it be?). The traditional Jerusalem Cross is seen everywhere throughout the city. 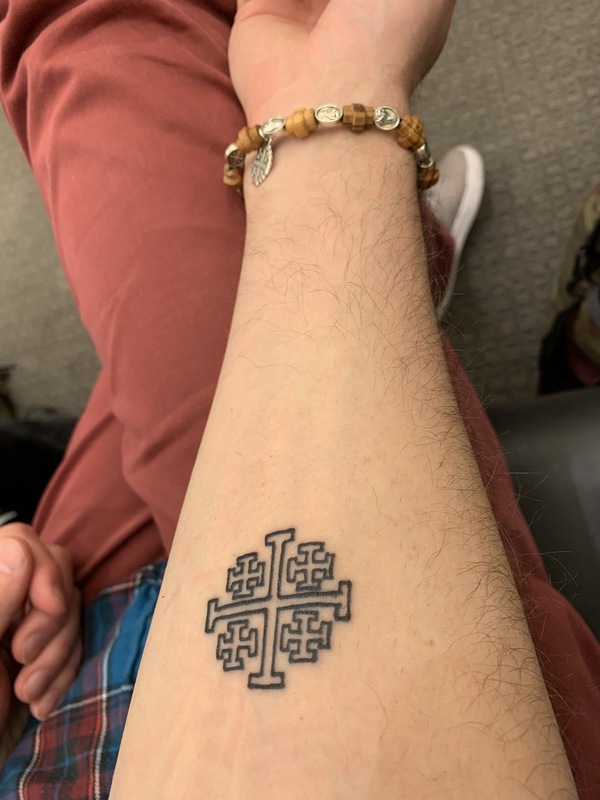 While it has in the past been referred to as the “Crusaders Cross,” it is also recognized in Jerusalem as the Jerusalem Cross, the Jesus Cross, the Pilgrim’s Cross, and the Franciscan Cross. The identification with the Crusaders is troublesome to some, and yet it is perhaps an opportunity to reclaim the image from a particular era for all the centuries since, including ours. Christians are a very small minority in the Holy Land, and make up less than two percent of the population in Jerusalem. Especially for those of us who inhabit the Pacific Northwest, where so many of us find ourselves reticent to share about our faith, wearing the symbol of our faith on our arm in such a committed way is a way for us to show solidarity with Christians who struggle in this Holy Land with all of its challenges, as well as to proclaim our faith to those around us in our own settings.